Kia ora and haere mai, welcome to the sixteenth instalment of 9mm for 2018, and the 188th overall edition of our long-running author interview series! 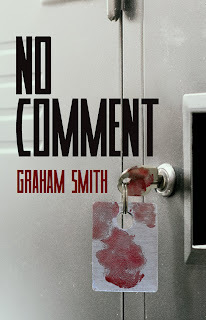 Today I'm very pleased to welcome author Graham Smith to Crime Watch. Graham leads a dual life as a crime writer and running a hotel and wedding venue in Gretna Green. I mention that latter as the little village of Gretna Green has quite the history with weddings. From the mid 18th century, English couples would regularly 'run away' to Gretna Green, popping across the border to get married at the closest village in Scotland - a place where younger couples didn't need parental consent and you didn't have to get married in a church. So as well as his action-packed crime tales, Graham is continuing a noble and centuries-old tradition among the northern borderlands. 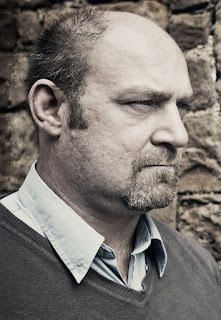 Graham is the author of both the DI Harry Evans series, which is set in the United Kingdom, and the Jake Boulder series, which is set in the United States. He's also a great supporter of other crime writers, regularly attending various festivals as well as running the Crime and Publishment workshops, which have helped mentor several aspiring authors to eventual publication. 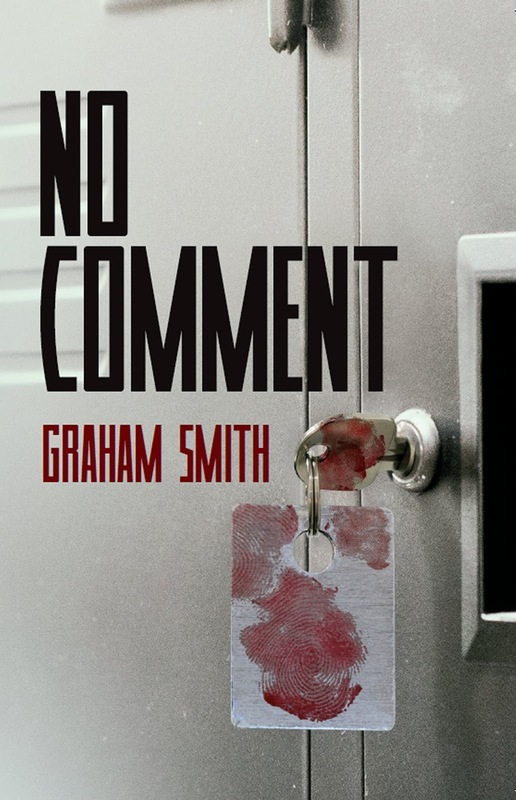 But for now, Graham Smith becomes the latest author to stare down the barrel of 9mm. This is an almost impossible question to answer as I have so many favourites. Reacher, Logan MacRae, Roy Grace and many others are in the running, but if I had to choose just one, it would be Craig Russell’s Lennox. All the novels featuring the sardonic sleuth are dripping with atmosphere and every one of them are fantastic reads. That would have to be Five Go off to Camp. I read this book around the age of eight and I loved the idea that children could foil adult criminals. Yes the books now seem rather twee in today’s world, but that is the book which kindled my love affair with crime fiction. I read all of the Famous Five and Secret Seven novels as well as Blyton’s Adventure series. I was very fortunate that the first novel I wrote went on to be published. However, it started out really badly and I broke off from writing it to learn my craft writing short stories. I have three collections of short stories available on Amazon and while I may write them a little differently now, I am proud of them all as they gave me the skills to write the way that I write now. As I have a full-time job running a busy hotel and wedding venue, my leisure time is very limited, but I do enjoy spending time with friends and family. Watching football takes up a fair chunk of my spare time and I am not adverse to spending a few hours on the Xbox. The little village where I live is the kind of one-horse town where even the horse is considering leaving. Therefore there’s not a lot to do and there’s only one thing which may count as a tourist attraction. However a walk along the banks of the River Kirtle is always a good way to clear the cobwebs from your brain. I’d like to say Tom Hardy as he’s a heartthrob, but the reality of the situation is that someone like Danny DeVito is more of visual fit. My life to date would also make for a very boring movie, although it’d be nice for me to have some of the blanks in my twenties filled in. This is such a tough question to answer. I love all my completed books equally as they all represent a time I’ve spent with characters whom I adore. The book I favour the most is usually the one I’m working on as it represents everything I’ve learned about writing and will hopefully show my progression as a writer. I rather predictably punched the air for a while and then had a couple of beers. The first time I saw my debut on a shelf was the night of the launch in my local Waterstones and that was a marvellous feeling. That I had my good friend and mentor in Matt Hilton chairing the evening made the whole experience even more special. I’ve never had anything that really qualifies for this question, but I think the oddest experience I ever had was when I was approached by a lady I didn’t know. She confirmed my name and then told me how much she loved my book. It was such a gratifying and surreal moment for me as it was the first time this had happened with someone I’d had no previous contact with. She was telling me that she loved my writing and the way I told a story and I was trying to say something other than thank you in response to all her compliments. Thank you Graham, we appreciate you chatting to Crime Watch. You can learn more about Graham and his books at his website.